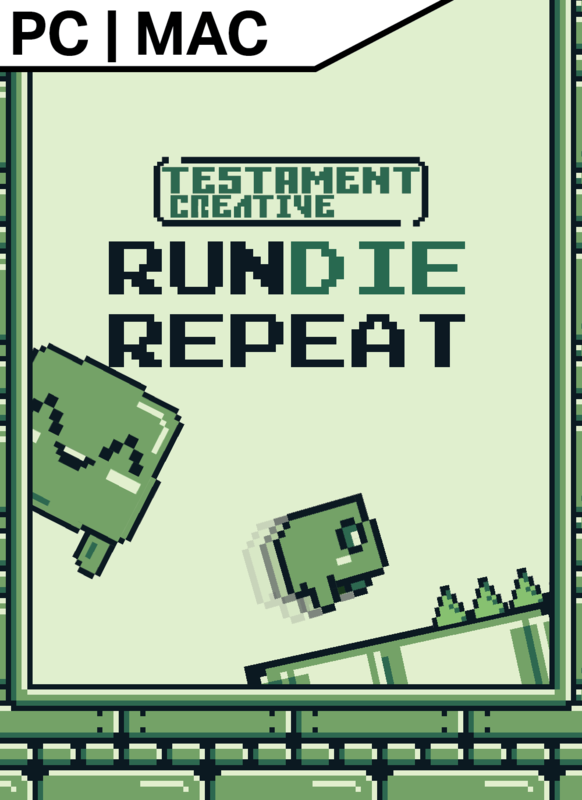 Run Die Repeat is a game in development about running and dying. A lot. Retro-styled with 4-color, 8-bit graphics, full controller support (recommended even!) and a bit of twitchy gameplay! Developed in Unity, we hope to have it launched by the end of September 2017! Hello everyone and welcome to another Tuesday Update for Run Die Repeat! Yes – that’s right! 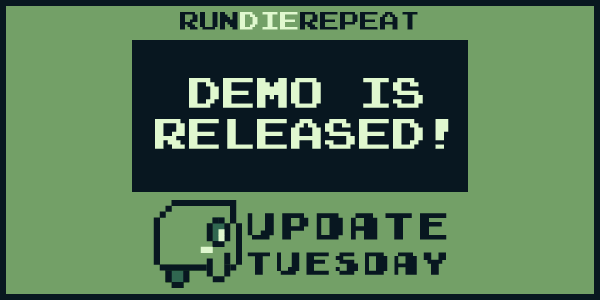 The Run Die Repeat demo went live last week! I would absolutely love it if you were to download it and take it for a spin, so go ahead and scroll down to the files section and check it out! I decided sometime last week that I would be well served to work on some Game Jams to try to up my skill set somewhat, so I recently joined into the “Can you survive this jam” Game Jam over at Itch.io – Itch.io and I’ll be releasing the game I’m making for it, called “Astronaut in a Wheelchair” for free (at least initially) once it’s complete. Astronaut in a Wheelchair is a “survival” game about an astronaut… in a wheelchair. Done up in my apparently favorite style of “early generation console”, it’s a 2D sidescroller where you have to use your missile launcher to move yourself back and forth and avoid the horde. Be on the look out for more on that! I really feel like participating in these jams will help me to produce a better quality product for Run Die Repeat in the end. As always, thanks for reading, and be sure to leave any comments or suggestions! We’ve got three big things in this Update HATS! 19 LEVELS BUILT! DEMO COMING SOON! Another big Tuesday Update! I'm sure one of these won't be so spectacular - but until then - let's ride that wave! The Run Die Repeat Demo is here, so download it today!
. @AmbetterGA with as much as you insurers steal from us with these HDHPs, you’d think you could afford a proper mobile site.